A FINE GAEL TD has claimed that independent TDs and Senators don’t join political parties because of certain allowances they receive. In turn, several independent politicians have hit back at Patrick O’Donovan, labelling his comments “disingenuous” and “cheap”. In 2014, independent members of the Dáil and Seanad received over €813,000 through the Parliamentary Activities Allowance. O’Donovan made the figures public this week after asking for them to be released via a Parliamentary Question. “It’s hardly surprising that a number of independents have decided not to miss out on this allowance to join a leaderless, mish-mash of politicians who have no defined policy,” he stated. However, a number of independent TDs have sharply criticised O’Donovan comments. Stephen Donnelly said his Fine Gael peer is “at best, confused”. He correctly points out that Independent TDs receive €39,000 per year, which is fully vouched, as a Parliamentary Activities Allowance. He then claims that a number of Independent TDs have decided not to form a party, as they don’t want to ‘miss out’ on this funding. What he fails to mention is that, if these Independent TDs formed a party, the €39,000 would increase to €166,000 – an increase in funding of 450%. Donnelly said €166,000 is the current level of annual funding received per Fianna Fáil TD. He noted that, as Fine Gael is in Government, and so “has the apparatus of the State available to help it”, it currently receives less per TD than Fianna Fáil, namely €65,000 annually. The Wicklow TD added that Fine Gael is still receiving this money for TDs who have lost the party whip. Over the course of this Dáil, Fine Gael is receiving in excess of €25 million in public funding. Patrick taking umbrage with funding for Independent TDs is akin to the proud owner of a brand new Merc being outraged that drivers of ten-year-old Ford Escorts have the audacity to take up valuable road space. So while we may offend his sense of propriety, he cannot, thank goodness, ban us from driving. A spokesperson for Kildare North TD Catherine Murphy said O’Donovan “seems to be under some strange misapprehension that only Independent TDs get a leader’s allowance when in fact each and every TD in the Oireachtas is paid the allowance”. Dublin North Central TD Finian McGrath said that independents are “not allowed to spend one red cent of the Leaders Allowance on ourselves”. It’s used totally for political purposed including hiring extra staff, research and development. We also have to keep proper accounts and are answerable to the Standards in Public Office Commission. The political parties receive €10.7 million of public funds … People in glass houses should never throw stones. Dublin Central TD Maureen O’Sullivan said her understanding of the allowance is that it aims to “bring about a more level playing field for independents and those in political parties because political parties get considerable funding, based on their numbers”. “I am on record as saying I think all these allowances – for independents and for the parties – should be eliminated,” she added. Senator Marie Louise O’Donnell said O’Donovan’s comments were “disingenuous, cheap, uncalled for, and attention seeking”. I have not been asked to join any political party. If I was asked, my decision as to whether I joined or not, would certainly not depend on whether I would gain or lose allowances. Donegal South West TD Thomas Pringle said the reason independents are “not in a rush” to set up a party is because “the party system is what is wrong with the political system in this country and what the people want is an alternative not more of the same”. The Parliamentary Activities Allowance (formerly known as the Party Leader’s Allowance) is provided for in the Ministerial and Parliamentary Offices Act 1938. It was most recently amended in 2014. Note: The following Senators’ names were spelled incorrectly in the Parliamentary Question response: Feargal Quinn; Eamonn Coughlan; Jillian Van Turnhout. 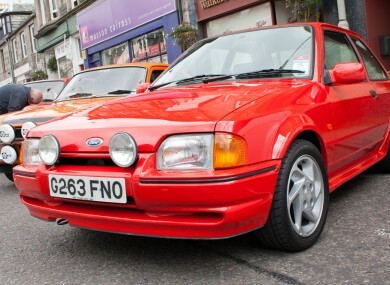 Email “Fine Gael row with TDs over funding 'like a Merc owner giving out about Fords Escorts':”. Feedback on “Fine Gael row with TDs over funding 'like a Merc owner giving out about Fords Escorts':”.